Home Health Health & Beauty Why Would You Consult A Dentist? Why Would You Consult A Dentist? Planning to Consult a Dentist? 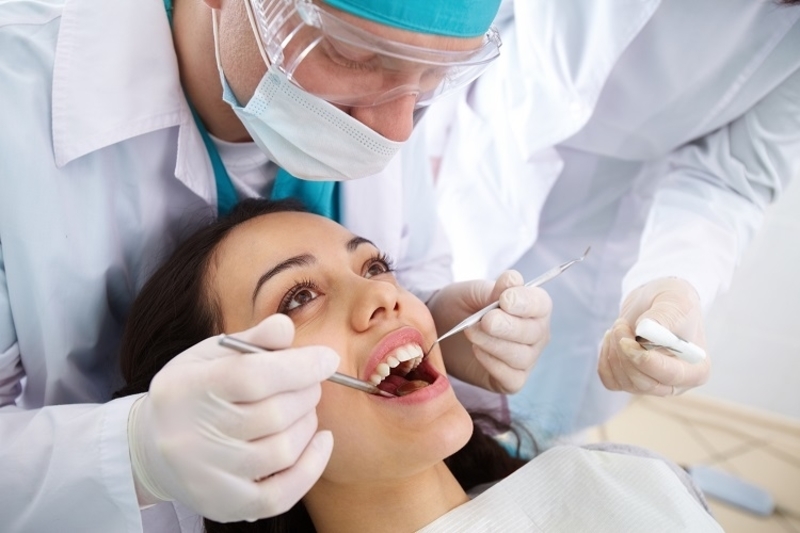 A dentist is a specialized doctor in the field of dentistry. A dentist can offer you various treatments for your teeth, mouth, gum and other connected areas. According to some studies it has been proved that many people suffer from dental diseases related to gums and teeth and most of them ignore their dental problems at initial stage. To stay healthy, you should always keep your mouth healthy. The dental doctor has a lot of duties to perform for maintaining your oral health. A regular checkup is a vital part of their duty and is very important for the patient as well. A general checkup involves basic treatments that include tooth extraction; tooth filling, teeth polishing and cleaning etc. the dental doctor will encourage you to perform good dental care by flossing, brushing and getting regular cleaning. These habits will help you to prevent cavities and will keep your teeth away from any gum and tooth diseases. Apart from that, a dentist can also do some dental and jawbone surgery and they can replace your damaged teeth with some artificial teeth or dentures. General dental doctor – The most common type of dental doctor is your family dental doctor who takes care of your dental problems on a regular basis. Their work is to take preventative measures of your oral care. The oral care includes dental x-rays, cleanings and educating patients about proper dental care, repairing chipped, cracked, or missing teeth, artificial filling and whitening etc. They can also help you in getting false teeth, braces, mouth guards etc. Orthodontist – They are specialist in installing braces and they can also offer you some cosmetic dental treatment such as correction of jaw bone, misaligned teeth and supporting facial arrangement for both functional and cosmetic reasons. Maxillofacial and oral surgeon – Their main work is to focus on soft and hard tissues such as cheeks, tongue, gums, soft palate, lips and facial tissues found in and around the mouth. After completing their dental schooling, they are trained in hospitals and thus they can execute invasive surgeries. They are expert in surgical jaw modification or smoothing, difficult tooth extraction etc. Periodontist – Their mainly focused on the gums and are concerned on the treatment, diagnosis and prevention of various gum related issues. This can include fixing dental implants, severe gum pain and inflammation, treatment and diagnosis of severe gum disease and performing cosmetic skin implanting on gums. Prosthodontist – They provide oral prostheses that substitute decayed, damaged or missing teeth. Oral prostheses are basically artificial teeth appliances that include dentures, crowns, veneers, bridges and tooth implants. The replacements can be both functional and cosmetic. This improves the capability of biting, chewing, speaking safely and effectively. Endodontist – The inner part of the tooth that is protected by the hard enamel of the tooth. The inner coating of dentin is found under the gum line that is known as pulp. This soft and sensitive living tissue is the part of the tooth which the endodontist focusses on. The pulp can get damaged rotten through injury, inflamed, trauma or decay and thus needs to be removed or treated. Regular dental check-up is necessary for maintaining a healthy gum and teeth. If any additional help is required then you can call your dentist to fix an appointment for your dental treatment. Do not avoid your dental issue at initial stage and always keep in touch with your dentist for getting a hygienic life. Next articleLaughter Is No Joke, Seriously! HAVE YOU EVER WONDERED WHY YOU BRUISE SO EASILY?